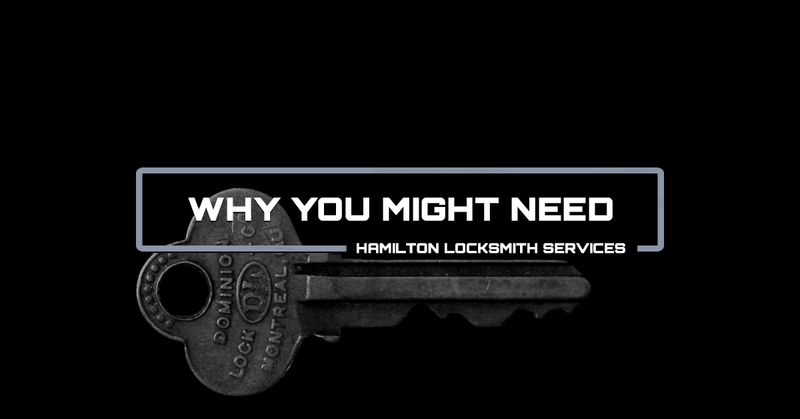 As a homeowner or business owner in Hamilton, you may find yourself in a situation where you need locksmith services. Stress, distractions, and forgetfulness can all produce lock-related occurrences that require us to call for help in order to continue throughout our day. What might some of these situations look like? In this post, Firstline Locksmith in New Jersey is going to help you see situations that warrant a local locksmith’s help before they occur so that you can save time and money. At Firstline Locksmith, we understand if you’ve forgotten the combination to your home safe. You’re not alone. Also, if you decided that leaving a sticky note on the back of the safe with the combo was a bad idea, you were right. Nonetheless, we can help you open the safe. In most cases, we can do it without jeopardizing the integrity of the safe so that you can continue to use it moving forward. In some cases, your house key can break off in your deadbolt. At this point, you may be wondering what can be done to remedy the situation. A complete lock and deadbolt replacement may be your first thought. At Firstline Locksmith, we will assess the situation and determine if we can remove the broken key and simply rekey a new one for you. Otherwise, you will be stuck with replacing the deadbolt. You’re in a hurry. You shove your car key into the ignition. You turn it, hard. A sharp snap sounds. You pull your hand out from behind the steering wheel to reveal half a key between your fingers. You’ve just broken your key off in the ignition. Now what? At Firstline, we encourage customers in this situation to give us, their local locksmith in Hamilton, a call immediately. We can work to get the key out of the ignition or suggest who to call for a new ignition switch. It’s happened to all of us. Some of us have even locked the keys in the car while it was still running. In some situations, an emergency locksmith call is necessary. A child locked in a car at any time of the day is dangerous. So, whether you simply locked your keys in the car or your child’s life is in danger, you can call Firstline Locksmith, and we will work to get your car unlocked as soon as possible. Whether you’re finishing up a weekend shift, or you forgot something on your desk, the door locking behind you before you realize the keys are what you forgot inside is devastating. It’s a quick way to experiencing what we like to call at Firstline a “face-palm” moment. You don’t have to stress, though. A call to your local locksmith at Firstline will get you back inside your office quickly and easily. Now that you know five reasons you may need Hamilton locksmith services, consider how you can avoid all of the situations listed above. How can you handle your keys and locks with care to avoid breaking or forgetting anything? At Firstline Locksmith, we care about you, your locks, and your safety. If ever you need locksmith assistance, feel free to give us a call!